"It's rare to find a beautiful book that speaks directly to kids, in both a playful and thoughtful way, about something as important as caring for our planet and all of its inhabitants. Touch The Earth combines this magic with true hand-to-page interactivity deftly woven into the narrative (and illustrations), creating a story I believe both kids and adults will want to read over and over again." "When a book takes you on an adventure, it's a good thing and allows you to think about something in a new way. When a book also reminds us how to treat what we have, it's even better because it's a win win. That's exactly what Julian has done with his book... he's given us a Win Win." 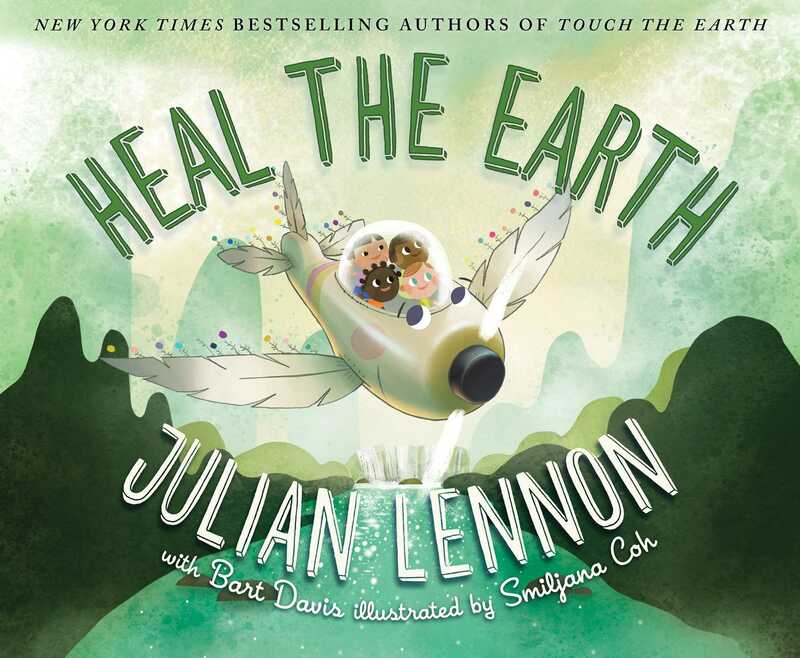 "The first in Julian Lennon's White Feather Flier Adventure trilogy, Touch the Earth takes readers on a journey in a magical plane that allows them to send clean water to the thirsty, clean oceans of pollution, and 'make the world a better place.'" "Lennon's debut picture book, the first in a planned trilogy, asks readers to hop aboard a magical airplane, the White Feather Flier (a name inspired by his father and his own environmental and humanitarian foundation), and go on a 'helping adventure' to protect the planet's oceans and water supply. [The illustrations] ... have a sweet-natured directness that may light up younger eyes." “The artwork is beautiful... It really is stunning." "I was immediately impressed with the interactive nature of the book. Although not all books lend themselves to this style, books that include elements of interactivity help resonate with kids more so when there's a lesson to be learned. Some books ask questions of kids, and some books, like this one, encourage kids to touch the picture, lean into the story, and really feel like they're in the book." "A very timely book.... A children's book, if done well, and this one is, lives on and on." "A passion project that comes from the heart, this stunningly illustrated book is inspired by the white feather he was given by his father when he was young."